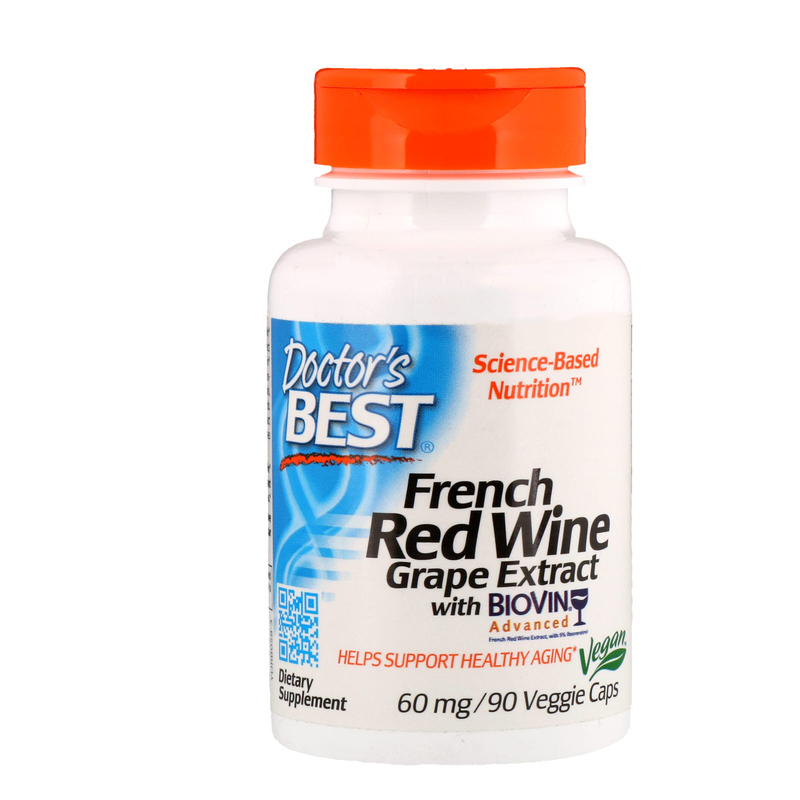 French Red Wine Grape Extract contains BioVin Advanced, a French Red Wine grape extract made from whole red wine grapes. BioVin Advanced contains 5% red wine transresveratrol and 30-35% red wine polyphenols, including anthocyanins and other flavonoids. Each capsule of French Red Wine Grape Extract provides the resveratrol equivalent of 3 glasses of red wine. The whole grape constituents in BioVin Advanced enhance the body's antioxidant defense to counteract the effects of free radicals. Resveratrol and red wine polyphenols have been shown to support healthy cardiovascular function and promote healthy aging. 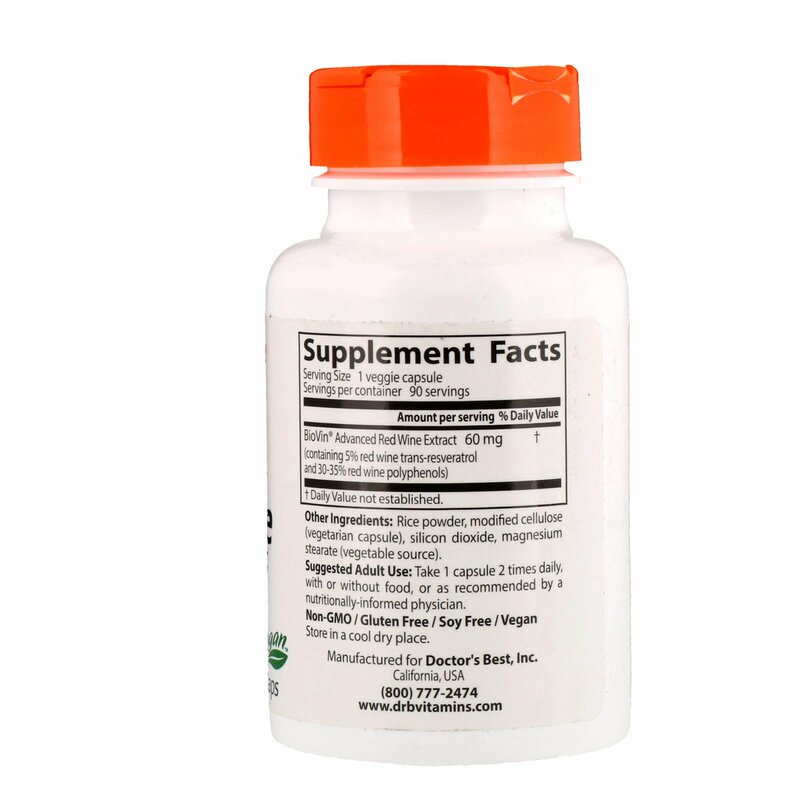 Adult Use: Take 1 capsule 2 times daily, with or without food, or as recommended by a nutritionally-informed physician.